The Chaldean cathedral Mar Yousef (St Joseph) in Baghdad stands at 33°18’5.29″N 44°25’41.69″E and 38 metres above sea level, in the district of Karada in Baghdad, 900 metres from the eastern bank of the Tigris River. 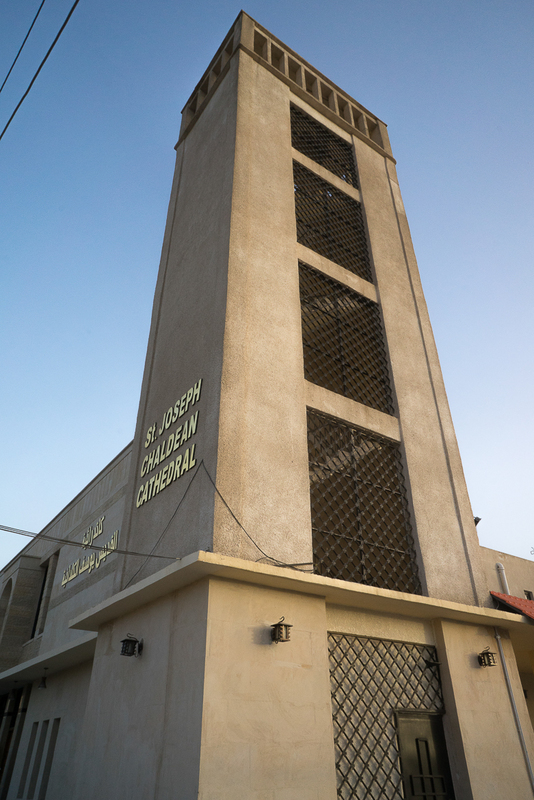 The cathedral Saint Joseph in Baghdad has been built to meet the needs of the Chaldean community who had left in the 1950s the old district of Agd al-Nasara, where was located the cathedral of Mary Mother of Sorrows (Um Al-Ahzan, see notice about it), to settle in the modern district of Karada. 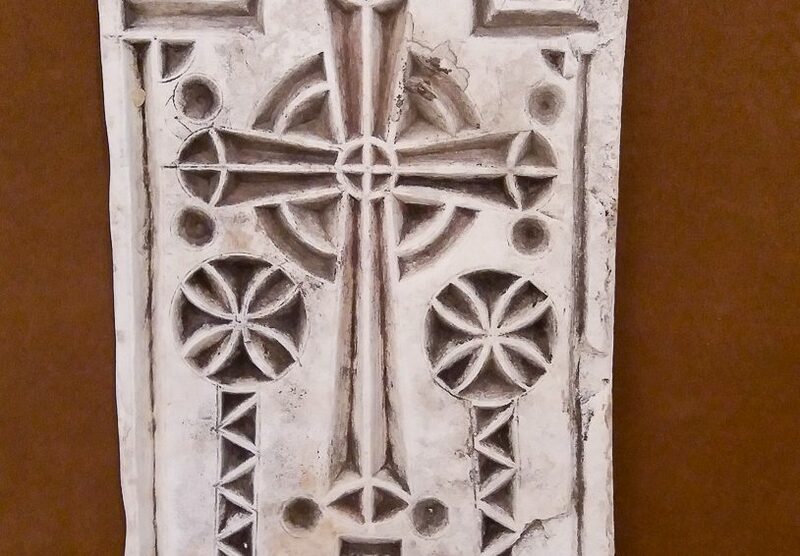 The foundation stone of the cathedral was laid by the Patriarch of the Chaldeans, Yusef VII Ghanima, on the Holy Cross Day in 1952. It was consecrated and inaugurated by the same Patriarch in 1956. 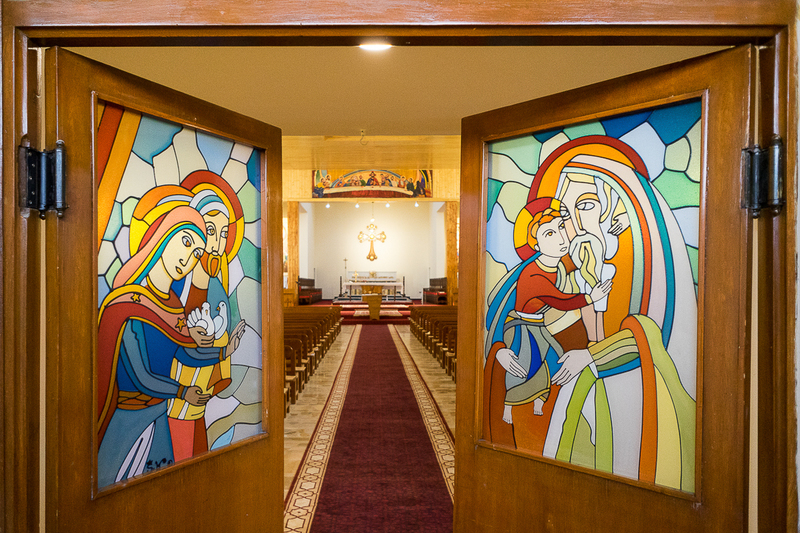 The Chaldean cathedral Saint Joseph in Baghdad has been restored and embellished several times, and even as recently as 2018, by the Patriarch of Babylon of the Chaldeans, Louis Raphael I Sako. 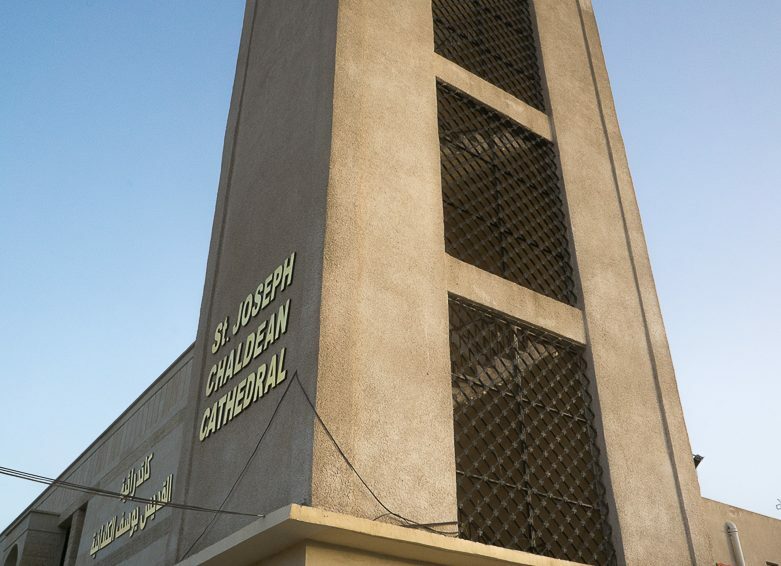 The Chaldean cathedral Mar Yousef/Saint Joseph in Baghdad stands at 33°18’5.29″N 44°25’41.69″E and 38 metres above sea level, in the district of Al Karada Al Sharkiya in Baghdad, 900 metres from the eastern bank of the Tigris River. Cathedral Saint Joseph in Baghdad, district al Karada al Sharkiya. 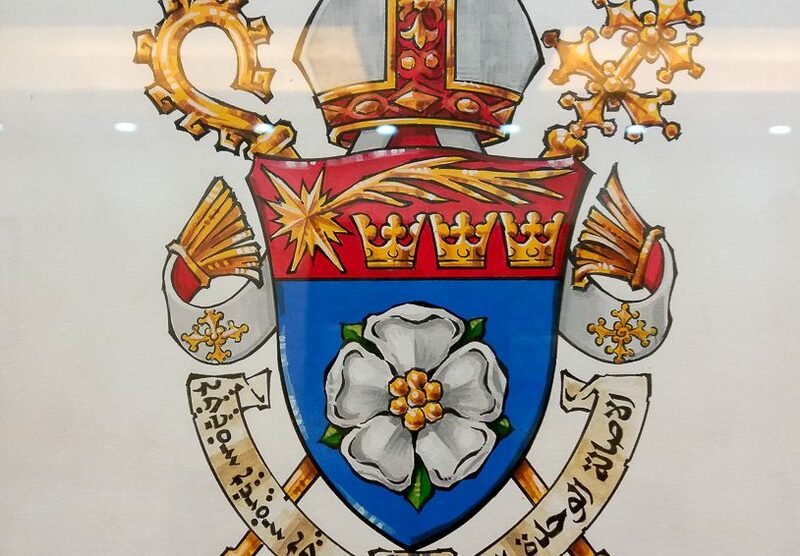 The Chaldean Church is a Catholic church, born in the 16th century, further to a schism that occurred within the Church of the East. In 1552, several bishops, who had set up in northern Iraq, southern Turkey and northern Iran, contested the hereditary succession of the Catholicos of the Church of the East Shimun VIII. They elected in Mosul another Patriarch, Yohannan Sulaqa, abbot of Rabban Hormizd Monastery in Alqosh, who named himself Yohannan/John VIII. He went to Rome to profess his Catholic faith. On April 20th 1553, Pope Julius III consecrated him Patriarch of the Catholic Chaldean Church, “making thus the birth of the Church official from then on”. Back in the Ottoman Empire, he set up his patriarchate in Diyarbakır (southeast of modern days Turkey), 400 kilometres northwest from the monastery of Rabban Hormizd. Fighting openly with his rival Shimun VIII, Yohannan Sulaqa was arrested, imprisoned and murdered in 1555. The foundation of the Catholic Chaldean Church had been preceded a century earlier, in 1445, by a decree of union in Cyprus between Rome and some members of the Church of the East, that Pope Eugene IV already called “Chaldeans”. Until the 19th century, the schism was all the more source of conflicts as a large number of worshippers of the Church of the East chose to remain united with Rome. 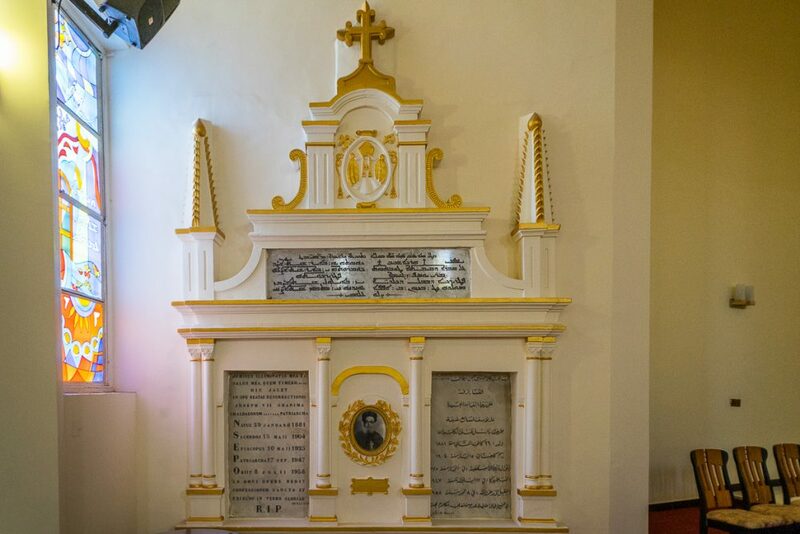 The Catholic Chaldean Church’s see was transferred from Diyarbakır to Mosul in 1830, before the Metropolitan Yohannan VIII Hormizd was elected as Patriarch. 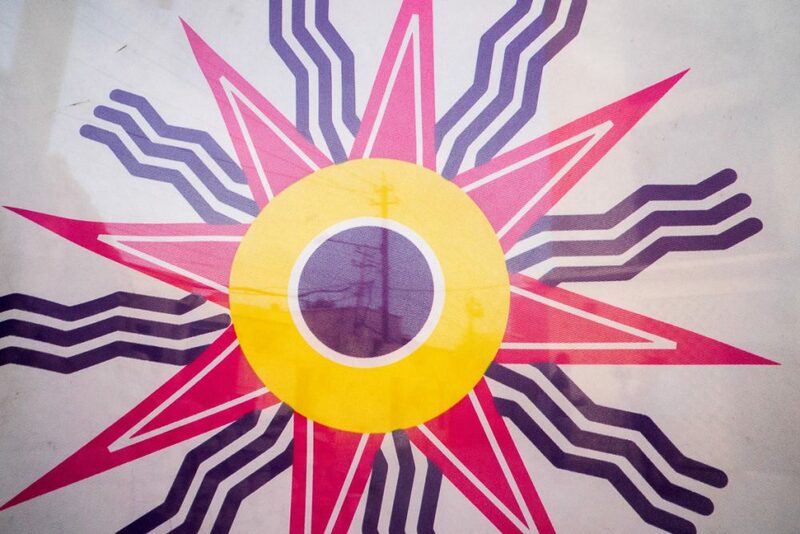 It was afterwards transferred to Baghdad in 1950, under Mar Yusef VII Ghanima. 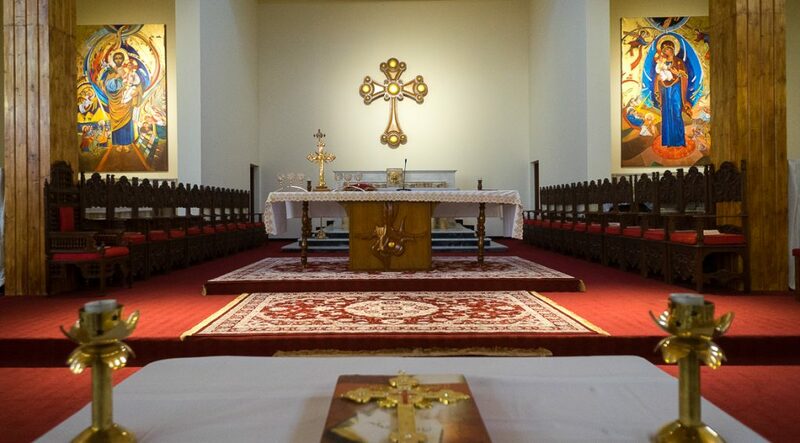 Though they undisputedly counted as the majority among the estimated 1 200 000 Christians in Iraq before the first Gulf war in 1991, the Chaldeans number 750 000 in the last census in 1987, compared to 300 000 Assyrians (Church of the East and former Church of East). 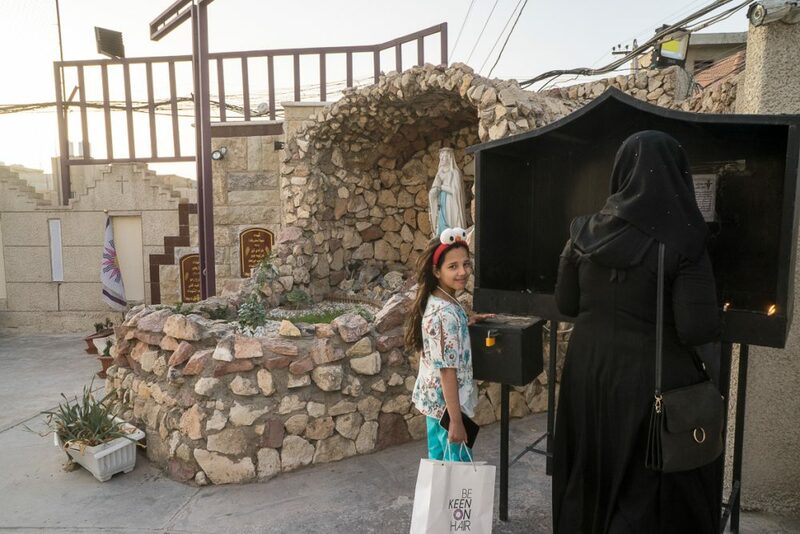 The total number of Christian people in Iraq amounted then to 8% of the total population. And in 2018, how much are they? 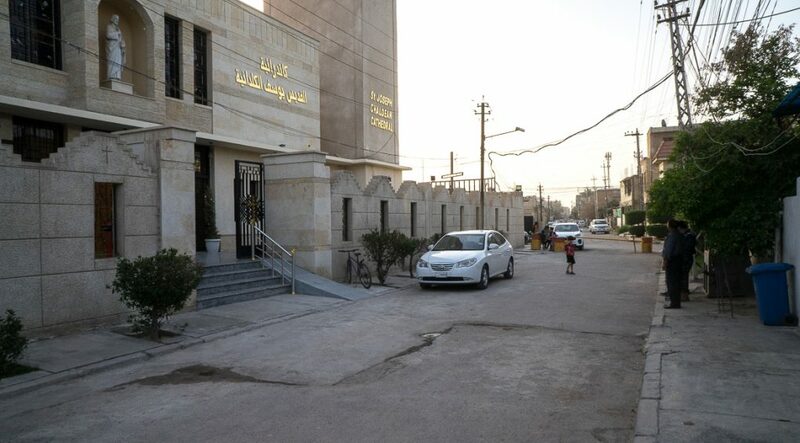 The local correspondents of Mesopotamia organization have collected some information which confirms that the number of Christians has collapsed, as already mentioned during the different visits in local communities. It is far less than 400 000 Chaldeans that are said to be still living in Iraq, split between Baghdad, Kurdistan, the Nineveh plain and Basra. Actually, the horrors endured by Christian communities never stopped since the Iraqi independence in 1933. 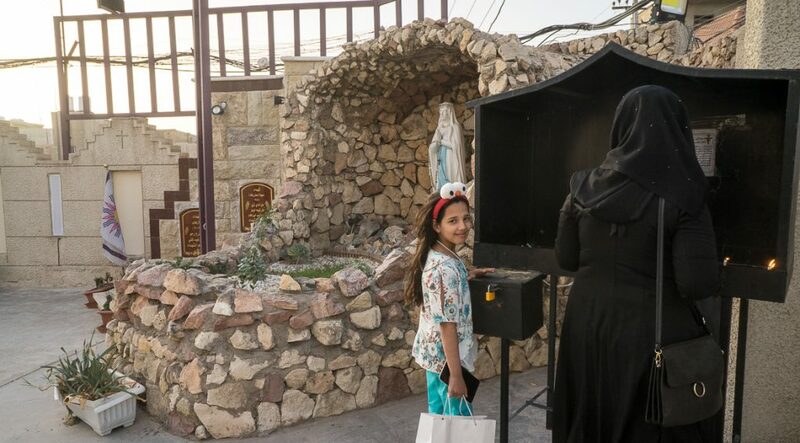 The beginning of the 21st century had actually offered them no break with the American invasion in 2003, the terrible embargo imposed by the UN, and the violence and persecution from Islamic and mafia groups that targeted the Christian communities since the fall of Saddam Hussein’s regime. 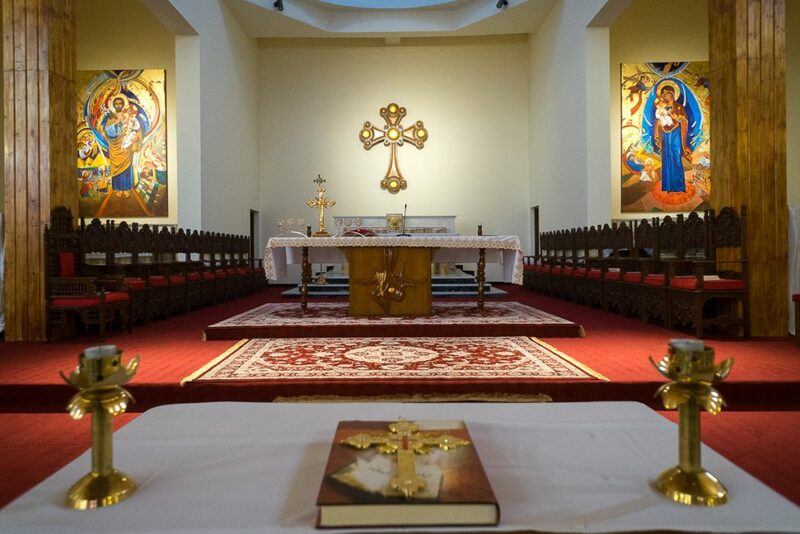 The Catholic Chaldean Church today counts an important diaspora, scattered over the five continents: in the USA, in Europe, in Australia, in Canada, in New-Zealand, in ex-USSR: more especially in Russia (Moscow, Rostov-on-Don), in Ukraine, in Georgia (Tbilisi), in Armenia (Yerevan). In the 16th century: the Ottoman Empire and Persia. 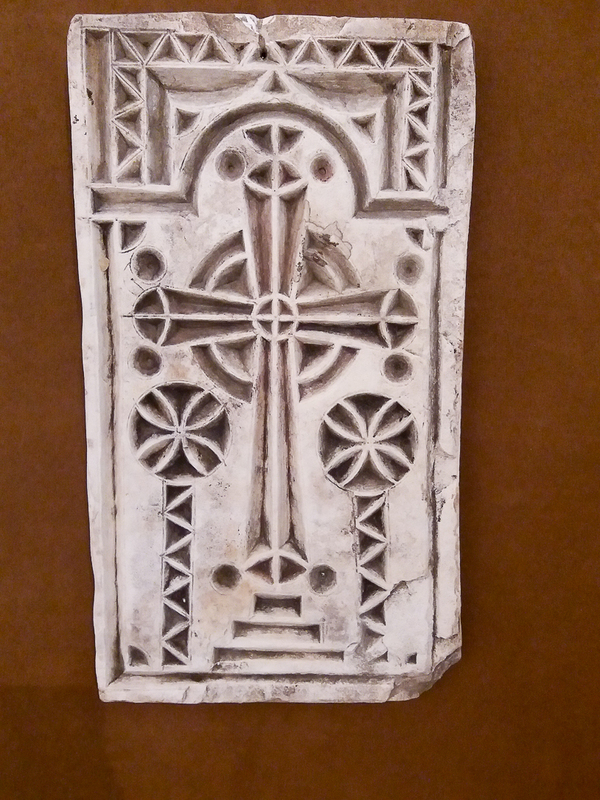 Cross from Sassanian period (3rd- 4th century). Chaldean flag in the courtyard of the cathedral Saint Joseph in Baghdad. 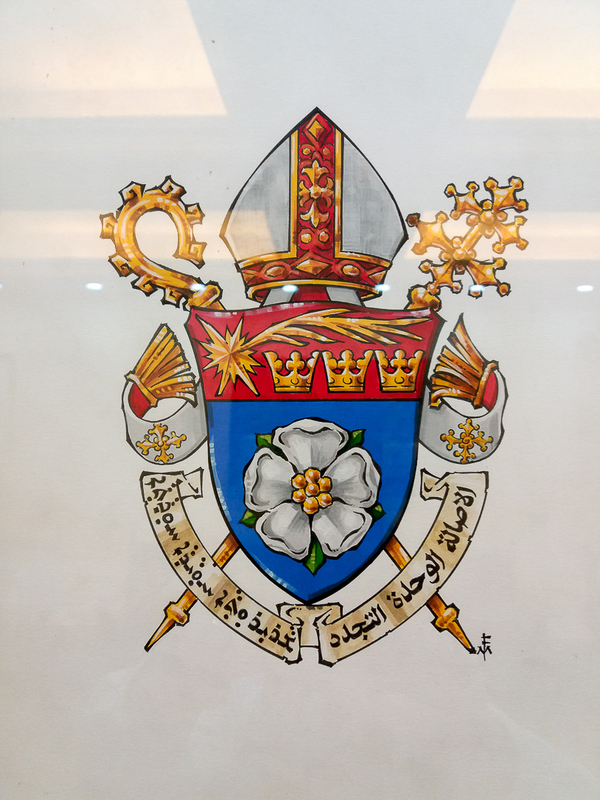 Coat of arms of the Chaldean Church. 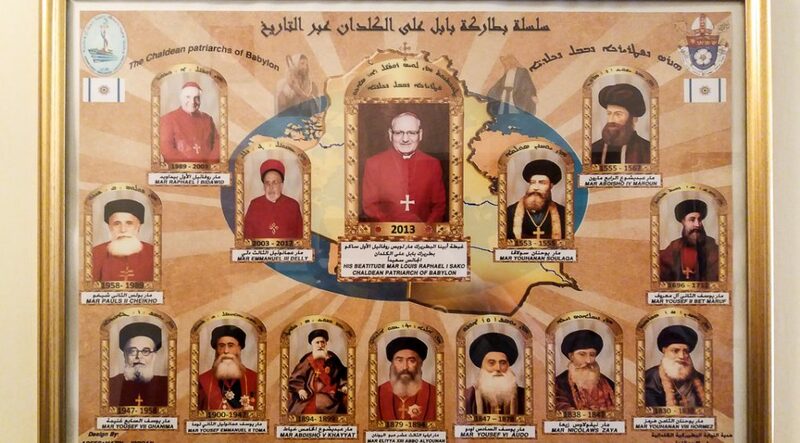 The Chaldean patriarchs from the beginning until today. 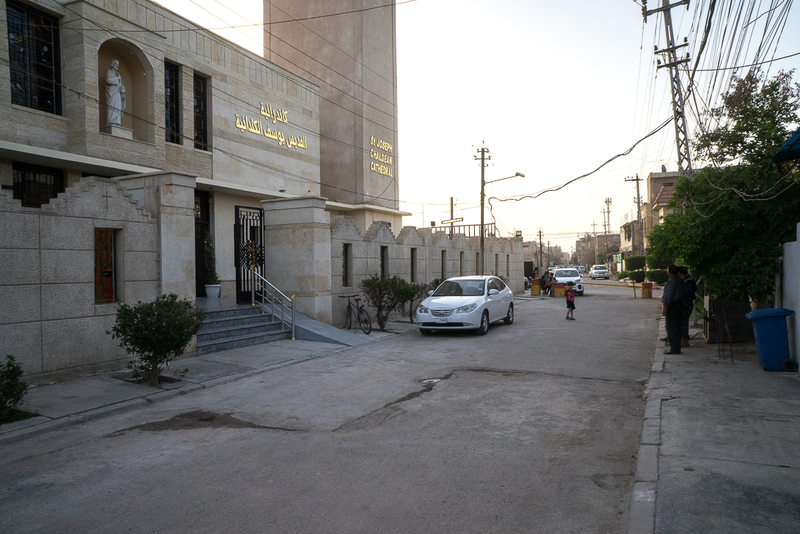 The Catholic Chaldean cathedral St Joseph in Baghdad has been built to meet the needs of the Chaldean community who had left in the 1950s the old district of Agd al-Nasara, where was located the cathedral of Mary Mother of Sorrows (Um Al-Ahzan, see notice about it), and went to settle in the modern district of Karada. 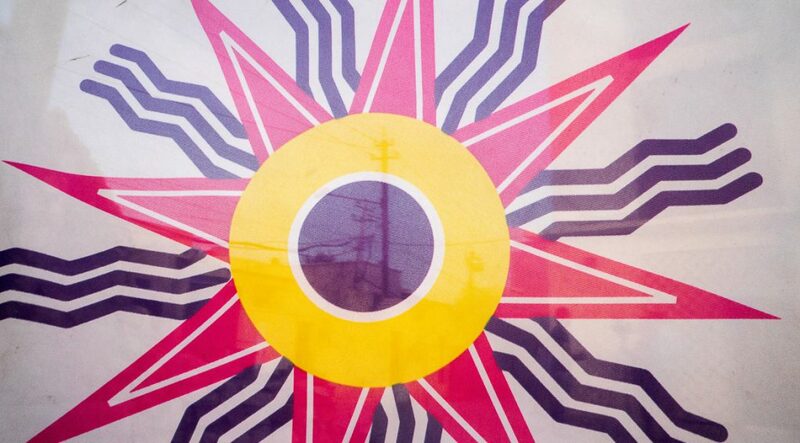 This need for a new and modern touch emerged when Yusef VII Ghanima accessed the patriarchal see in 1947. It really was the start for the construction of a new Chaldean spiritual beacon in Karada. The foundation stone of the cathedral was laid by the Patriarch of the Chaldeans, Yusef VII Ghanima, on the Holy Cross Day in 1952. 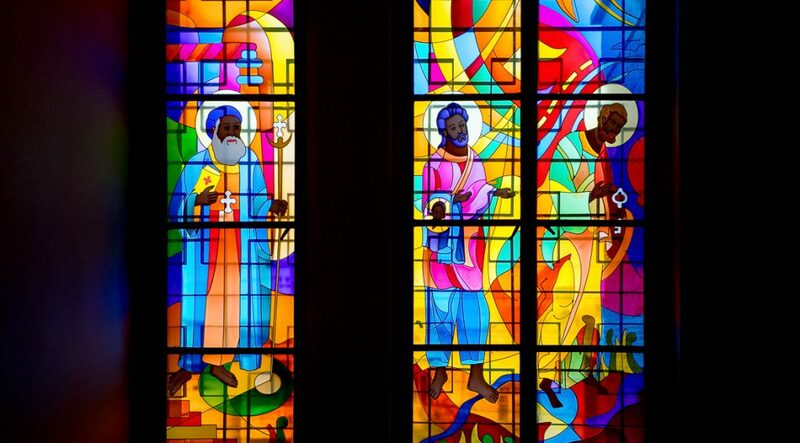 It was consecrated and inaugurated by the same Patriarch in 1956. All along the building time, funds were being raised by a committee, which actually also supervised the whole construction. 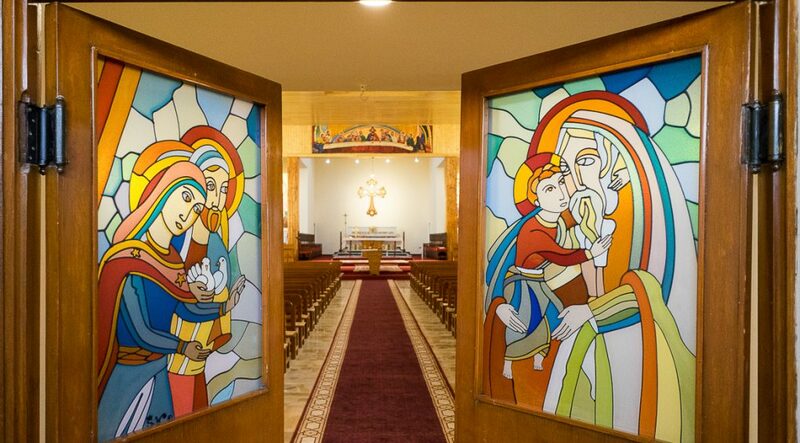 Before St Joseph cathedral was built, there was already a small shrine, called Mar Yousef, very close in the neighbourhood within the gardens of the “Chaldean Mercy” organization, as well as a school managed by this same organization. Since the cathedral’s inauguration, the shrine and the school have closed. They merged to give birth to a large community centre. 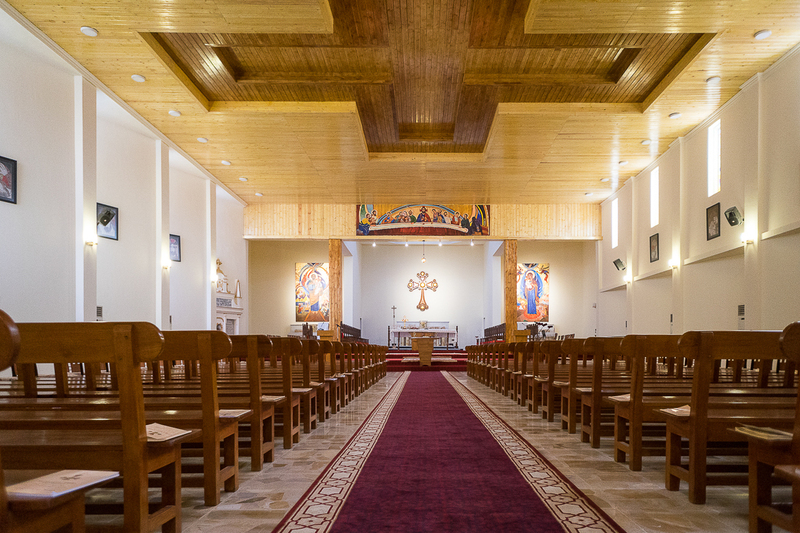 After the new Chaldean cathedral had been inaugurated, Masses and services were celebrated there by clerics of the former cathedral Um al-Ahzan (Mary Mother of Sorrows). 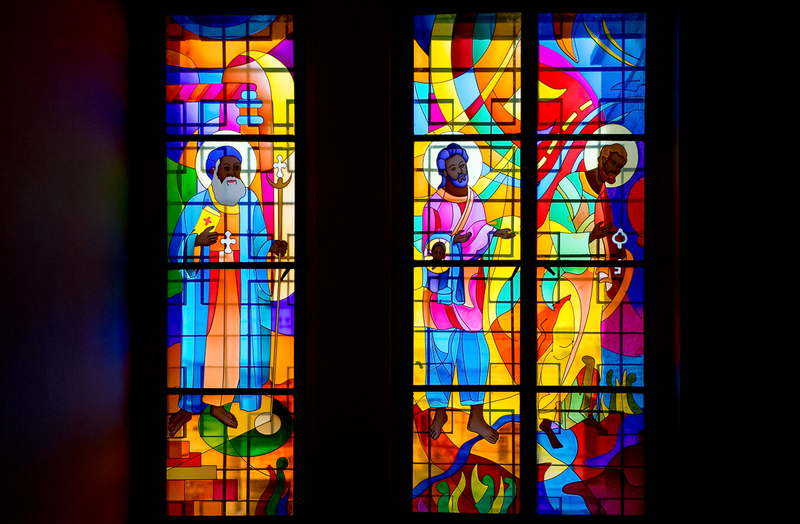 Three years later, in 1959, the first rector of the new cathedral was appointed, Father Yousif Babana, assisted by a vicar, Father Gorial Qoda and by the parish priest of the cathedral Father Kyriakos Hakim. 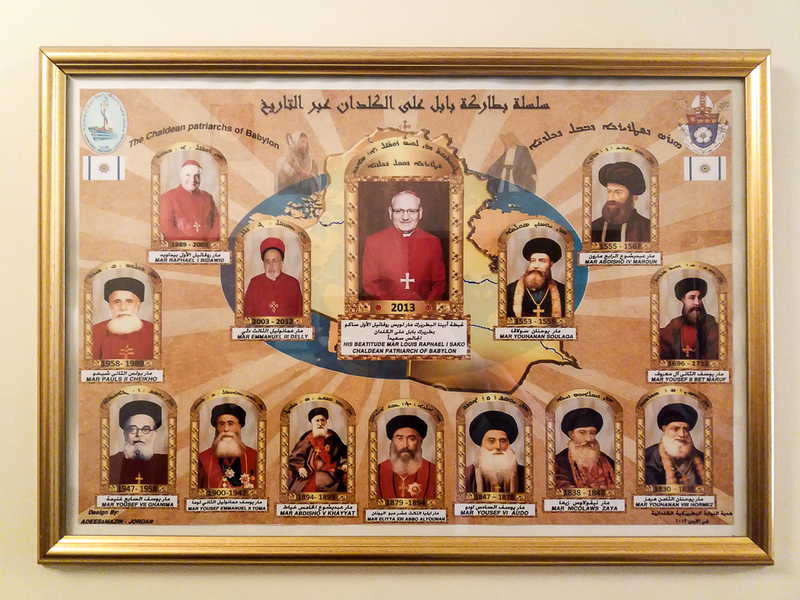 Since then, 10 clerics served in that Chaldean cathedral St Joseph: Bishop Stephan Katcho, Father Hanna Jajika, Bishop Ibrahim Ibrahim, Father Potros Hadad, Father Jargis Ibrahim, Father Louis Chabi, Father Saad Sirop, Father Albert Isham, Father Sakvan and eventually Father Firas. Cathedral Saint Joseph in Baghdad. Bell-tower. Cathedral Saint Joseph in Baghdad. South-east frontage. 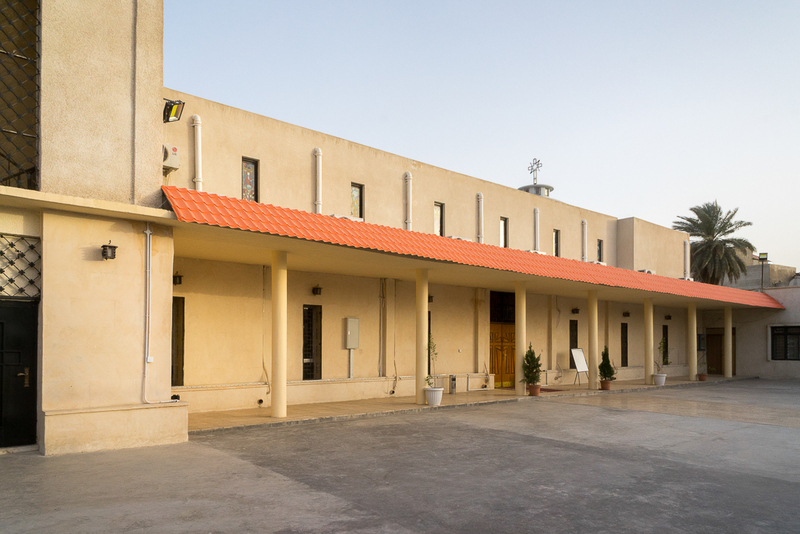 The Catholic Chaldean cathedral Saint Joseph in Baghdad in not eastern-oriented as are many churches traditionally; but is oriented along a north-east/south-west axis. A slender and rectangular bell-tower stands next to the entrance door, in the north-western corner. Its structure is made of reinforced concrete, with a basilica-typed architecture. 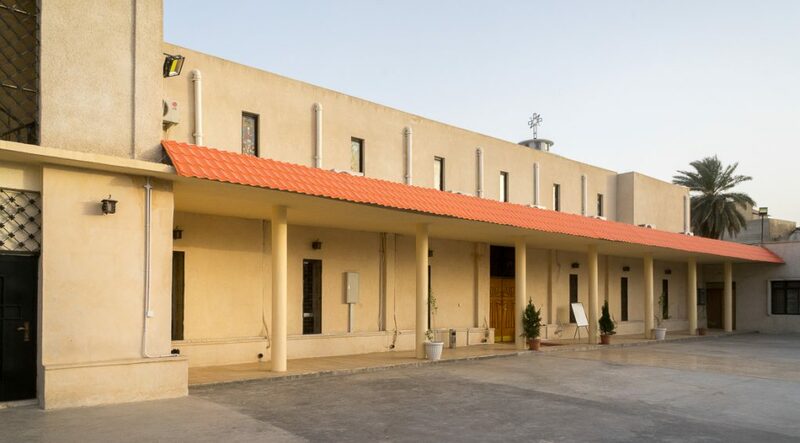 The Chaldean cathedral Saint Joseph looks like a large hall, with no inside pillars, and topped by a two-parts sloping roof. 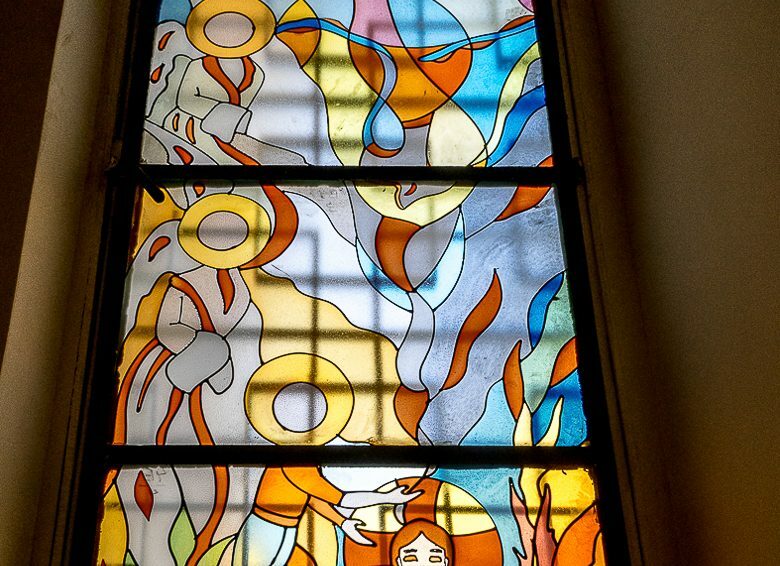 When looking at the inside, daylight comes in through clerestory windows on the north-western façade, through beautiful stained-glass windows just above the entrance porch and eventually also through windows within the cupola just above the sanctuary. The ceiling is flat and covered with wood panels featuring a large cross in its middle. The main entrance to the cathedral, in line with the nave, opens onto a transversal narthex, taking the entire cathedral’s width. On the southern side of the narthex, there is a small chapel where around 15 persons can stand. The building looks like a large hall without any inside pillars. The space inside is arranged so that the three conventional parts of the Eastern Syrian churches are respected, while offering a resolutely modern version. From the large nave where the churchgoers gather, we behold the whole building. At the end of the nave, where the deacons sing masses and read the Bible, the choir takes a large platform up, with the Golgotha in its middle, on which rests the Gospel book. Lastly, the sanctuary, reserved to the clerics, is also on a kind of stage. Deprived of royal doors or separating curtain, it simply consists in a double high-altar. The former stepped high-altar backs onto the apse’s wall, still hosting the tabernacle. The new high-altar is freestanding in the middle of the sanctuary and is adorned by a carved wooden frontal. 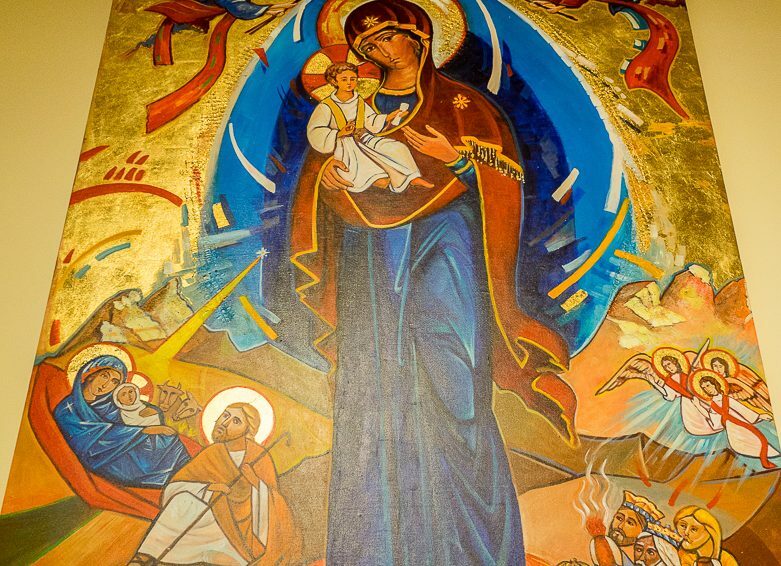 In the northern side-aisle of the sanctuary stands an altar, above which a very large icon “odigitria” (Mother of God pointing the path) hangs. In the southern side-aisle stands also another altar, with a large icon above it, which represents Saint Joseph carrying Jesus represented as a teenager. 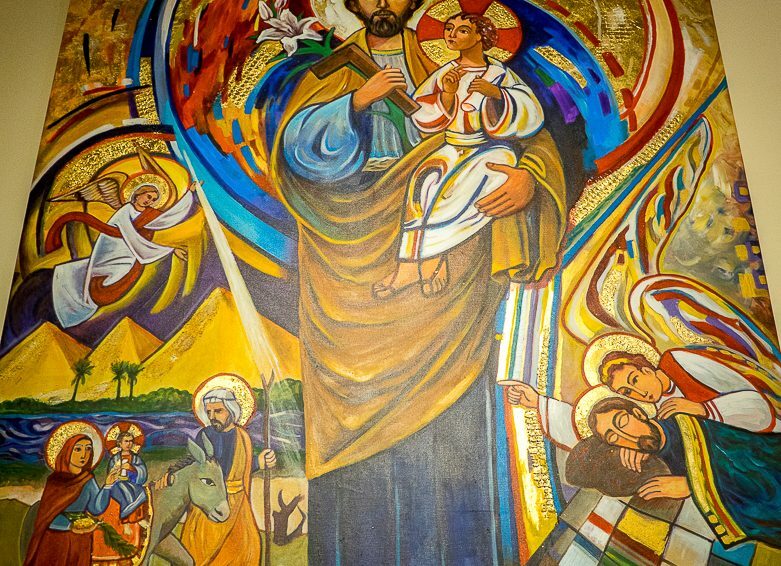 Saint Joseph also carries his traditional saintly attributes: the carpenter square, symbol for his righteousness and the lily, symbol for his purity. 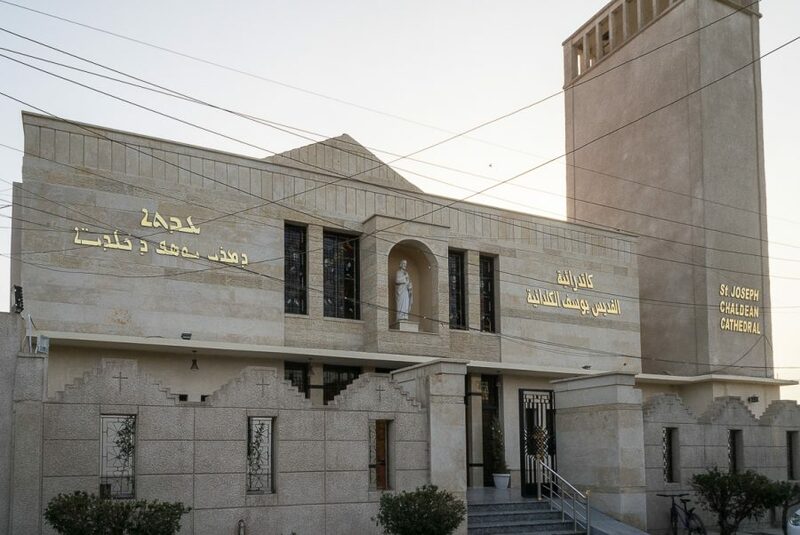 The Chaldean cathedral St Joseph in Baghdad also hosts the tomb of Patriarch Joseph (Yusef) VII Ghanima, who died in 1958, two years after the cathedral’s consecration. His beautiful funeral altar stands very close to the sanctuary, in the southern side-aisle. It features a church’s façade, with its doors, its pillars, its tympanum and its pinnacles. 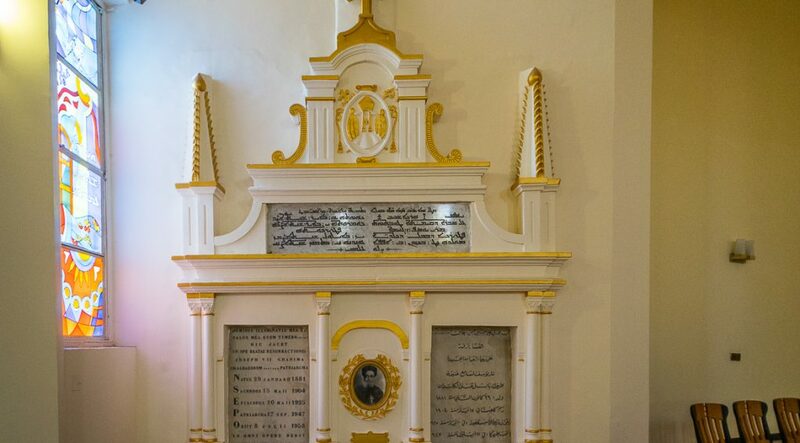 The Patriarch’s picture, in the middle of the memorial structure, is framed with inscriptions on grey marble, in Latin, Arabic and Syriac languages. There are some other tombs within the cathedral or in the courtyard. Among them, we can mention the Bishop Sulaiman Al Saigh, deceased in 1961, Father Abdel Ahad Dahan, vicar of the Patriarch in Paris, deceased in 1970. 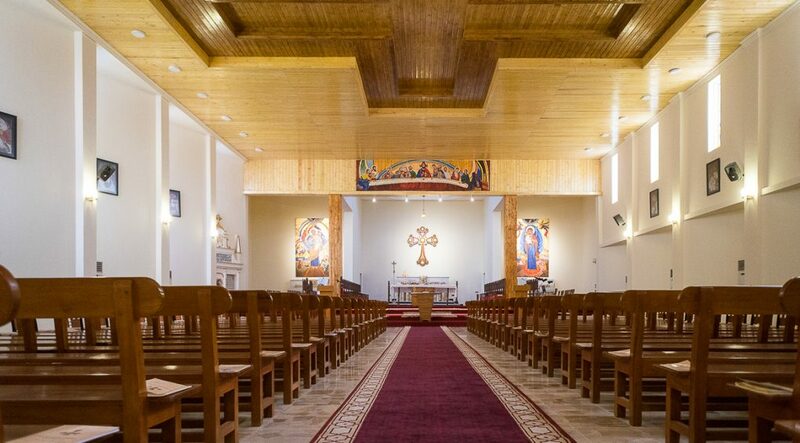 The Chaldean cathedral Saint Joseph in Baghdad has been restored and embellished several times, and as recently as 2018, by the Patriarch of Babylon of the Chaldeans, Louis Raphael I Sako. Cathedral Saint Joseph in Baghdad. Swing doors with stained-glass windows. Cathedral Saint Joseph in Baghdad. Overall view from the nave up to the sanctuary. Cathedral Saint Joseph in Baghdad. Choir and sanctuary. Cathedral Saint Joseph in Baghdad. 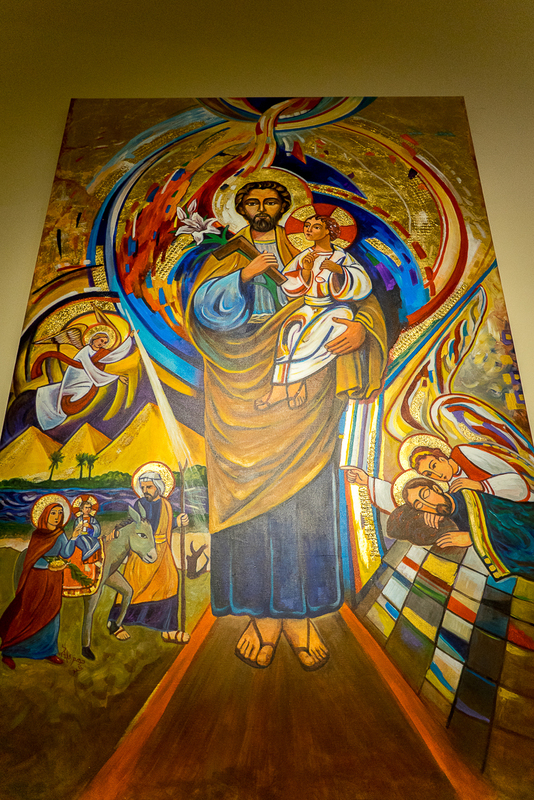 Icon showing Saint Joseph. Cathedral Saint Joseph in Baghdad. 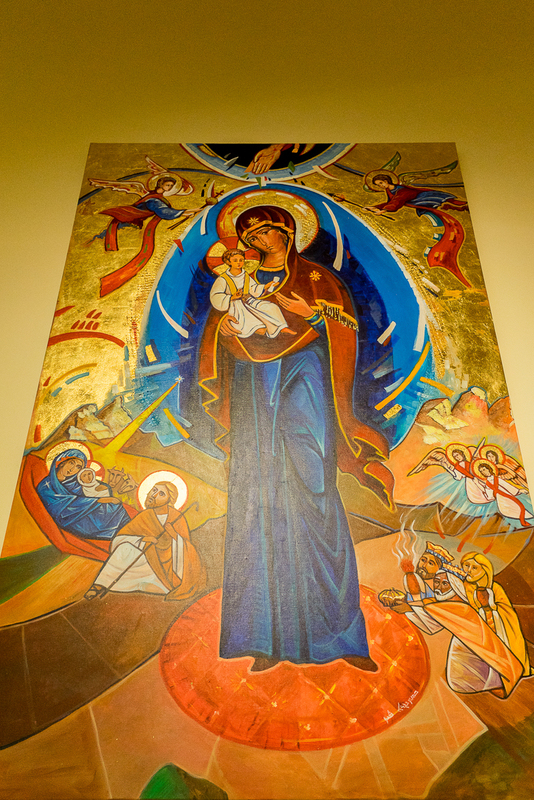 Icon showing Mary Mother of God "Odigitria". Cathedral Saint Joseph in Baghdad. Tomb of the Patriarch Yusef VII Ghanima. Cathedral Saint Joseph in Baghdad. 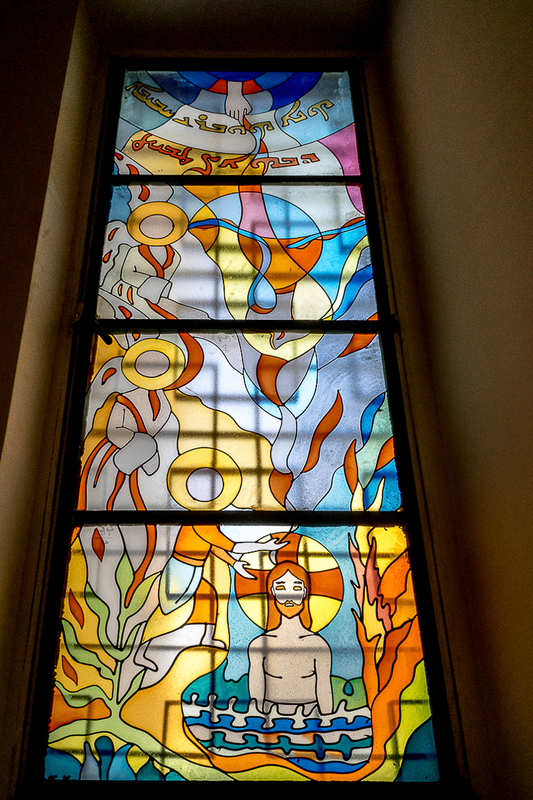 Stained-glass window.